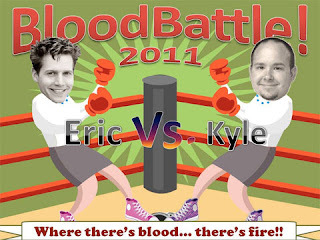 doug: Open your veins: the BloodBattle 2011 is tomorrow! There are still 26 appointments available. You can just show up (bring your ID) or make an appointment. Find the details here.